Welcome to River Road Farms! River Road Farms is the premiere source to buy a wide variety of ornamental trees. 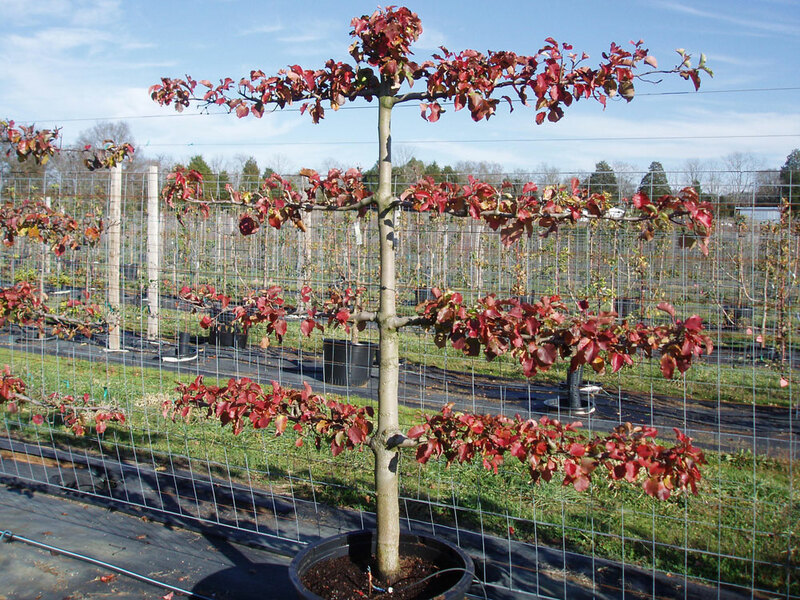 Each one of our espaliered trees is hand-crafted by our expert staff and delivered to most parts of the country. Our trees make an excellent addition to any landscape without taking up a large footprint. Call us today and let our knowledgeable staff help you select the perfect trees for all your projects. Find out about our love of espalier and our decades of experience. Learn how we work and how to start your project. We have thousands of trained trees on our farm which are ready to be featured in your landscape. Contact us to get started.